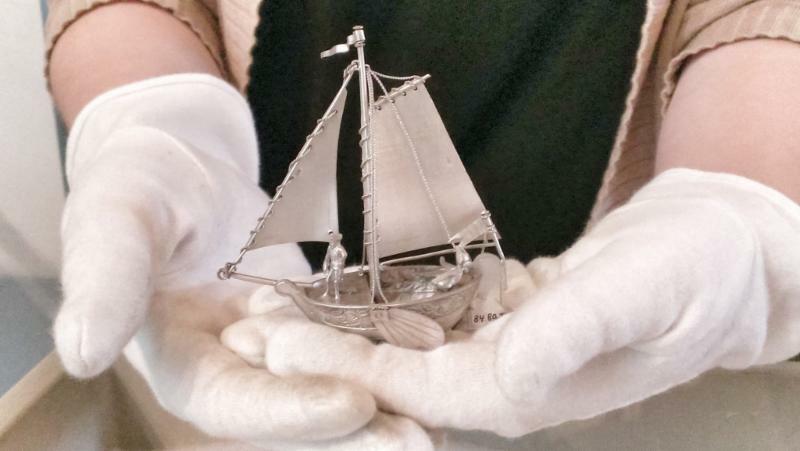 The Independence Seaport Museum is currently exhibiting Silver Ships of the Seven Seas, a collection of miniature ships. The 2015 holiday presentation of Silver Ships will be presented on recycled lumber castoffs from the construction of Schooner Diligence. Philly Seaport’s miniature ships were collected by Jacobus and Louisa Pierot during their travels in the late 20th century. The ships were gifted to the museum by Louisa in memory of her late husband.